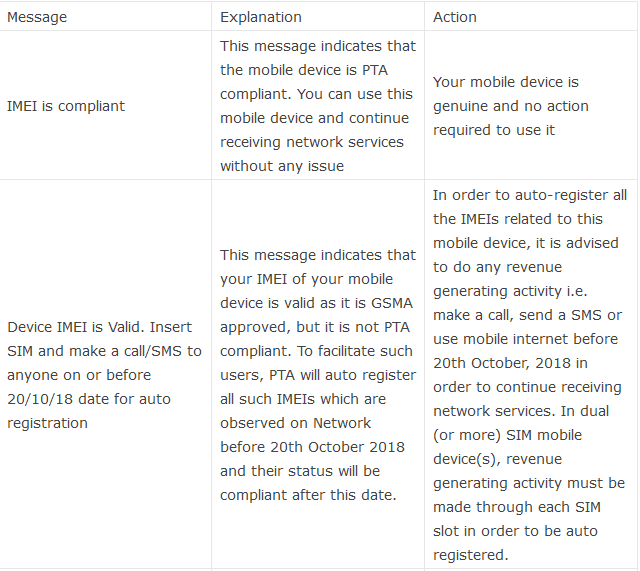 There are millions of mobile phones which are at risk in the country for being blocked by PTA (Pakistan Telecommunication Authority) after 20th October 2018. The step is being taken for a massive drive against illegal and fake IMEIs throughout the country. 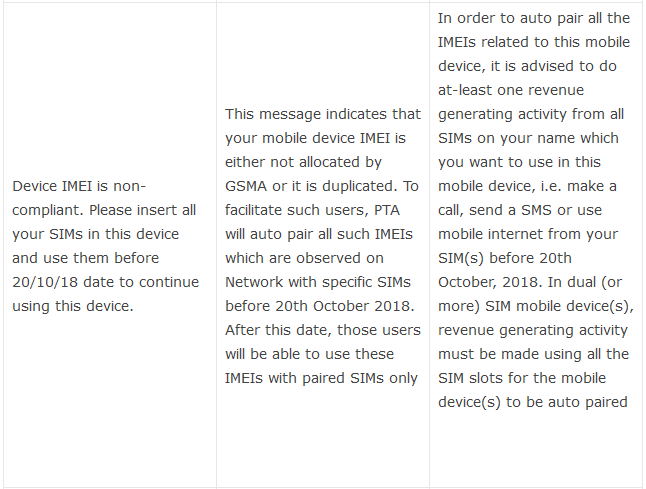 According to PTA, the illegal mobile phones don’t come with valid IMEI (International Mobile Equipment Identity) number which will be blocked after the given deadline time. 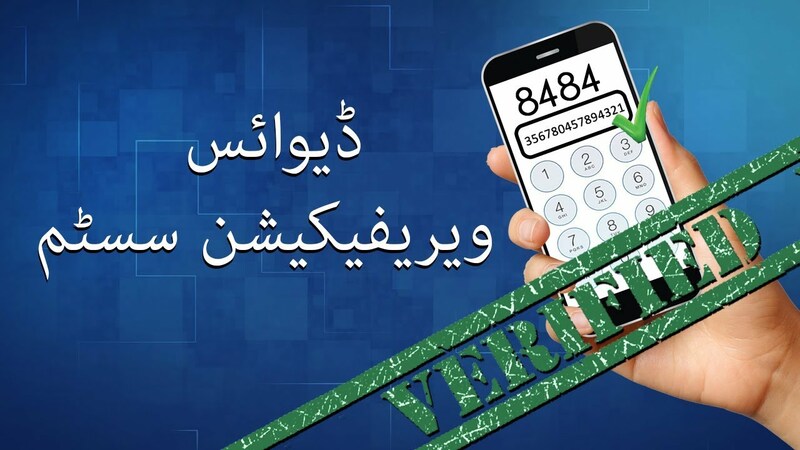 In this regard, all telecommunication service providers have formally circulated an SMS, in which they have asked their users to get their smartphones verified and check if it possesses a genuine or valid IMEI number. Otherwise, their smartphones will be blocked after the expiry of the deadline given by PTA. PTA Pakistan has also directed the users to check and match their IMEI numbers with data from them by sending their IMEI number via SMS on 8484. There are only 8 days left till the deadline. The telecom watchdog has recently implemented a system known as DIRBS (Device Registration & Blocking System), which is specially designed to reduce the use of non-compliant mobile phones. The system is aimed to block illegal smartphones which have no or duplicate IMEI numbers, snatched the mobile phone and smuggled and other SIM-running devices. According to different telecom watchdogs, it is reported that millions of handsets have been not registered with PTA. According to reports, smartphones with duplicated IMEI numbers were imported or smuggled through grey channels. Such smartphones and devices like tablets or SIM active devices will be blocked by PTA after the deadline 20th October 2018. Currently, the public at large is not aware of the latest DIRBS campaign. Even though many people are not even aware of the procedure of getting their IMEI number of smartphones verified. Some of the people belonging to rural or far-flung areas have low literacy rates, which will put a deep effect in this campaign by DIRBS. There are even some senior citizens in many cities who might not understand the procedure of IMEI verification until their family members, relatives or friends don’t guide them within the given time. In this regard, all telecom service providers should send the verification process SMS in English as well as in national and regional languages. Moreover, the providers should put the advertisement on media channels and collaborate with cable operators and mobile phone manufacturers to drive an awareness campaign for their users. The DIRBS system is specially designed to enhance the government revenue by allowing such devices which have been imported through proper channels. The system will not only keep a check on devices which are brought into the country in future but will also check the installed base of mobile phones which are currently being sold in the channel or are active. Furthermore, the system will also facilitate importers of genuine mobile phones through legal import channels. This system will certainly provide benefit to Pakistan’s mobile phone ecosystem. It is certainly not the first time that Pakistan Telecommunication Authority has started working on blocking illegal, counterfeit and smuggles mobile phones/ tablets based on IMEI numbers. In the past, PTA has made many attempts to block illegal and duplicate IMEI number mobile phones and tablets. In future, PTA will also be shutting down mobile shops that are offering the services of flashing IMEIs of smartphones. Below are the steps from which you can check the IMEI number of your mobile phone. Below are the steps which you can use to verify your mobile phone IMEI number.